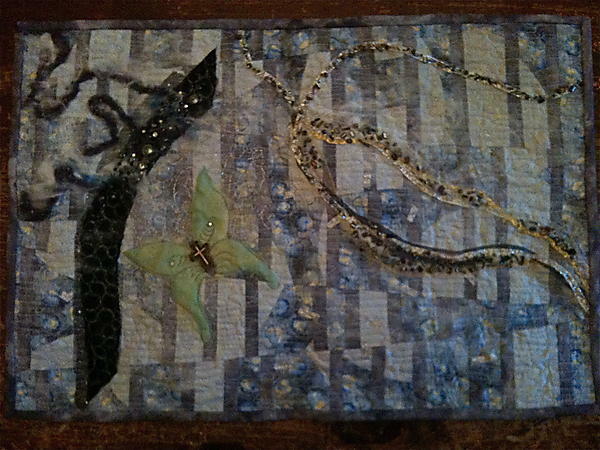 I have been busy working on getting everything together for the GSQA (Gulf States Quilting Association) Seminar. I will be teaching 4 days of classes along with several other teachers. The Embellishment class that I will be doing starts with 3 fat quarters and a handful of special fabrics and embellishments. The photos below follow my process for creating an interesting background to start the process. Started with setting in 3 circles – it could be fused on. 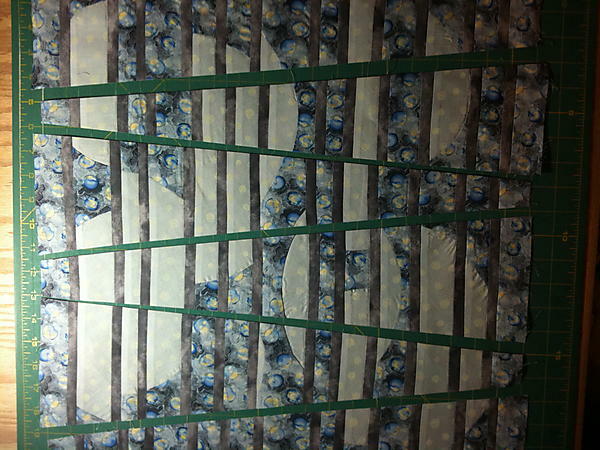 The piece was then cut in strips ranging from 1 3/4 inch to 3 inches. 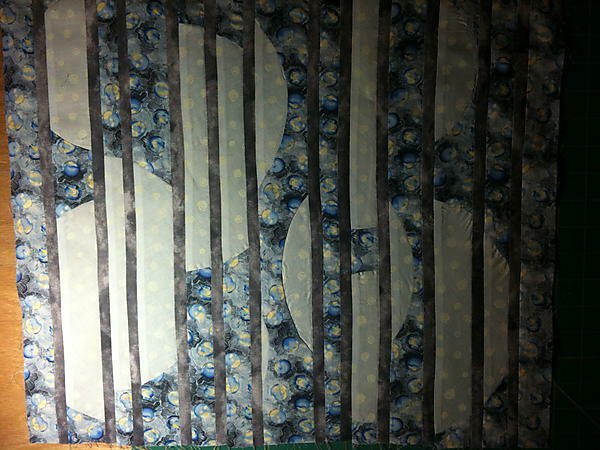 The background fabric was shuffled around until I was happy with it. 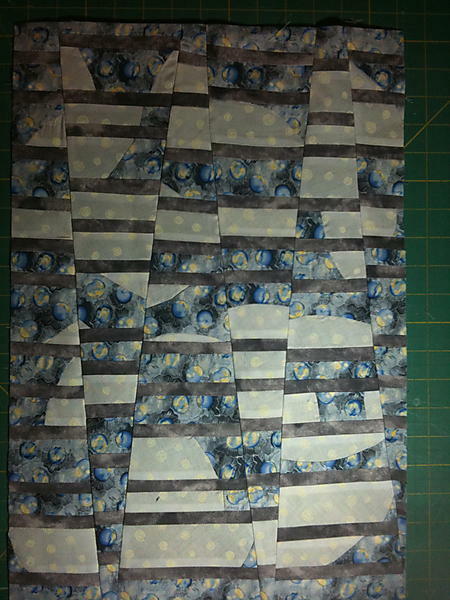 The contrasting grey fabric was cut into 1 1/4 inch strips and pieced in between the other strips. The piece of fabric was cut at different angles across the top. The pieces were once again shuffled and then pieced together again. Square up the piece at this time. This is the finished size of your quilt unless you want to add borders. Add layers of netting, couch ribbon, felt wool roving, add special fabrics such as velvet and silk and then quilt through these layers having only the batting layered. 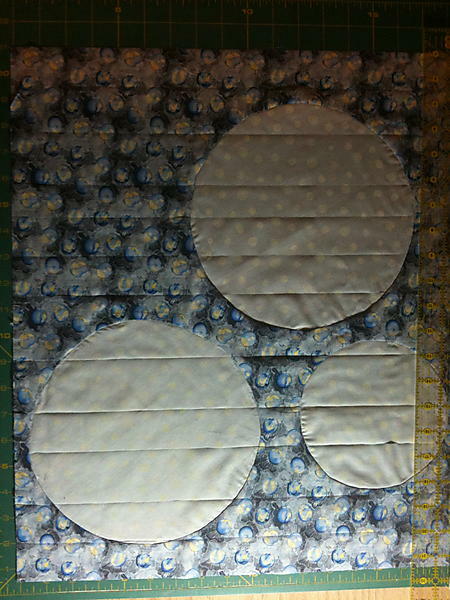 You will add the backing fabrics and quilt through all the layers when you have the quilt top to your satisfaction. 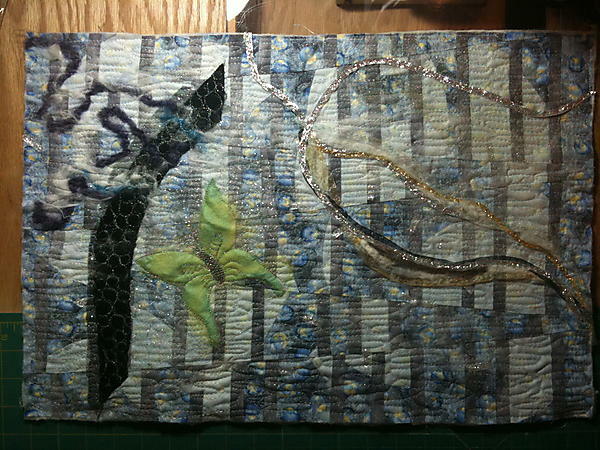 The quilting must be completed before any embellishments are added. I also sew the binding on before adding any bead work so that I can have embellishments right up the the binding. The luna moth again. I LOVE the cross on it. This looks so complicated but is marvelous. Had a good time with your mom and dad and even spent Labor Day with David and Jen.